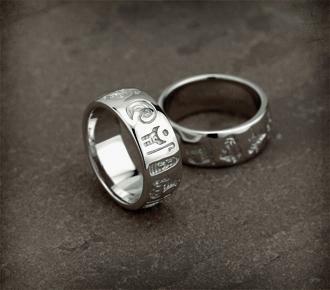 This ring depictes Irelands history. Every symbol shows a time or event in Irelands past. Comes in presentation box with booklet that explains the symbol meanings. This ring is made to order in your size. Please allow 3-4 weeks delivery. Please see our shipping section for location of shipping available and prices. All products sent within Australia are sent through Australia Post, free shipping for orders over $500.